The original Bullitt Mustang was on display on the National Mall in Washington, D.C. There, Bill Tumas of CJ Pony Parts interviewed its owner, Sean Kiernan. With many changes on tap for Mustang Week 2017, we asked Mike Clay a few questions about what we can expect from this year’s event. 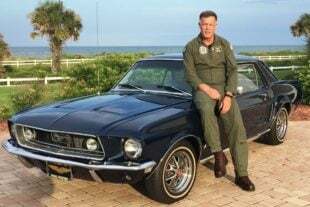 To fully understand Sean’s commitment to making his Mustang the best it can be, you must first understand his commitment to his country. 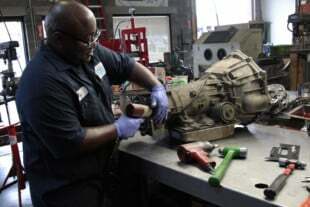 When your hot rod isn't running up-to-speed at full capacity, it's always a good idea to fully checkout the ignition system. Performance Distributors gives us five reasons why it's the perfect time for an upgrade. Eighty-five-year-old 1969 Mach 1 owner, Eydie Machado taught her daughter Diane Wyant to love Fords too. A robust power source is crucial in a modern race car. Just ask Anthony Bongiovanni, whose Bongiovanni Racing Cobra Jet Mustangs rely on OPTIMA batteries. Bruce Meyer is an elite car collector that prefers to be called a rabid enthusiast. He talked to us about his passion in the automotive industry and bringing hot rodders in t-shirts to the concours crowd.